185/65r15 88h Budget tyre special now only £44.00 fully fitted inc vat, Available to our internet customers while stocks last. 195/50r15 82v Budget tyre special now only £39.00 fully fitted inc vat , Available to our internet customers while stocks last. 195/60r15 88v Budget tyre special now only £42.50 fully fitted inc vat , Available to our internet customers while stocks last. 195/65r15 91v Budget tyre special now only£40.00fully fitted inc vat , Available to our internet customers while stocks last. 205/55r16 91v Budget tyre special now only £40.00 fully fitted inc vat , Available to our internet customers while stocks last. 215/55r16 97w Budget tyre special now only £50.00 fully fitted inc vat , Available to our internet customers while stocks last. 225/45r17 94w Budget tyre special now only £54.00 fully fitted inc vat , Available to our internet customers while stocks last. 225/40r18 92w Budget tyre special now only £52.00 fully fitted inc vat , Available to our internet customers while stocks last. 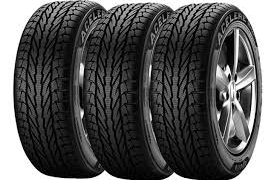 235/35r19 92w Budget tyre special now only £60.00 fully fitted inc vat , Available to our internet customers while stocks last. to place your order for these great priced budgets please phone us on 0116 2544489 or use the contact page.